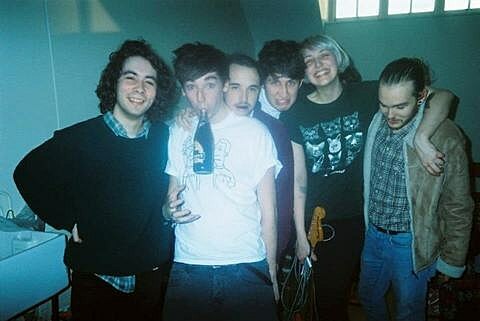 Welsh band Joanna Gruesome released their debut album, Weird Sister, earlier this month via Slumberland. It’s a terrific record of riotous indiepop that has both jangly melodicism and sharp-fanged, bash-it-out aggression. (It’s almost like Los Campesinos! covering Veronica Falls or vise versa.) You can stream a couple tracks below or listen to the whole thing via Spotify and Rdio. Those coming to CMJ in two weeks can catch Joanna Gruesome live where they’ll be playing their first North American shows. 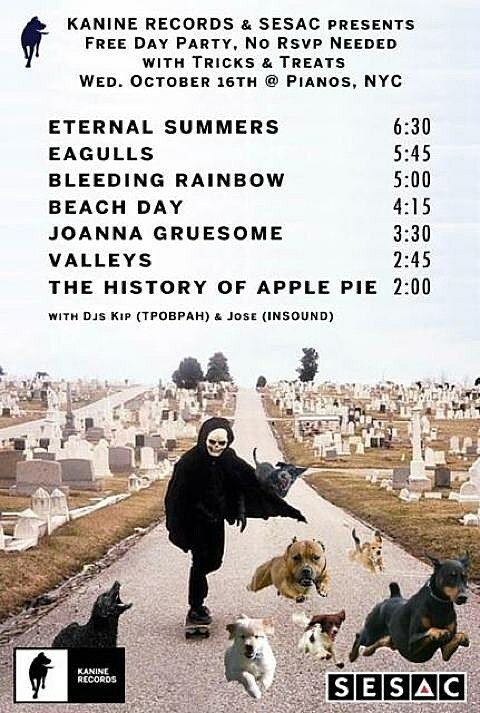 There are two confirmed shows so far: they’ll play the Kanine Records/SESAC day party at Pianos on October 16 as part of a killer lineup including Eternal Summers, Eagulls, Bleeding Rainbow, Beach Day, VALLEYS and The History of Apple Pie. That show is free. They’ll also a day party at The Rock Shop on October 19 with Great Lakes, Fan Modine, Room Full of Strangers, Sophie Auster, Riverwild and Three Thousand Crowns. That show is also free. More shows are likely to pop up as we get closer to CMJ (which is pretty close already).